Jharkhand State Government has introduced jharbhoomi Portal for People can check Land Records ( Apna Khata, Khesra ) अपना खाता देखें , अपना खाता देखें , Register-II (खाता एवं रजिस्टर-II देखें ) details, Online application for Mutation, e-Mutation Status, online lagan payments through online. Department of Revenue and Land Reforms of Jharkhand has developed the MIS portal http://jharbhoomi.nic.in in association with National Informatics Center (NIC) to digitize land records system in Jharkhand. One of the major objectives of this website is to provide Jharkhand Land Record (Khesra, Apna Khata) details online to the citizen. People can using this land records for checking Mutation status, To raise farm credit / loan from the Bank, For Bank account opening, To verify land title during sale of land and registration of property, Legal purposes. and more. It is very difficult for a common man to understand their own records of rights. Corruption and lack of transparency are other issues associated with Land Records in India. Government of India realized these problems and started National Land Records Modernization Program (NLRMP) with the aim to standardize and computerize all land records in India in a phased manner. Under NLRMP all land records and related services are being made online. Few states have already computerized their land records while some are in the process. 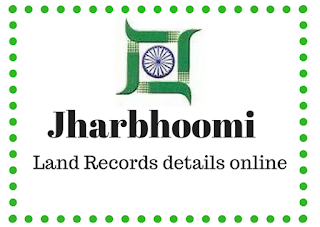 How to check Jharkhand Apna Khata Land Record online ? Select Halka (हल्का), Type of Land (किस्म ज़मीन) from dropdown. Search by Khata No. (खाता संख्या) or by Holder’s Name (खाताधारी का नाम) or select from all khatas. Then click on “खाता खोजें”. Finally Get your Jharkhand Land Records Details online. How to Check Register -II ( रजिस्टर-II देखें ) online ? You can also take print out for future reference. How to check Register- II Khesra war details online ? Land owners can pay their lagan online, Revenue, Registration and Land Reforms Department has started the ‘Online Lagan’ facility on jharbhoomi Portal. which can be used to pay lagan through internet banking and generate a receipt against the said payment.